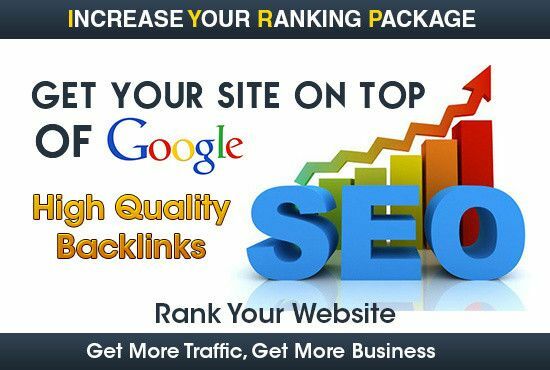 Exclusive SEO Package To Increase Your Ranking - Tiers-3 Link Building Campaign. We will submit Super Powerful SEnuke full monty v5 campaign for your site and keywords which consider as biggest, most effective and Natural ever In search engine. We will create Top Quality Web 2.0 Backlinks with related articles which will be anchored with link & keyword, all will be used directly for your money site, its the best ever! The Dofollow backlinks is a link building Process that will pass on the SEO benefits of the website where it will be built from to the hyperlinked sites. This is the type of backlinks will be created for SEO purposes. Contextual backlinks from articles a great choice for link building Process, Getting these links to your main backlinks will help much TO get better results. All Tier-1 & Tier-2 links will be used to submit 20,000 mix profiles and social networks backlinks, this is very easy, cheap, safe way to rank you link in Google. ☛ Latest panda and penguin safe in 2018! ☛ Accept multiple urls and unlimited keywords. If you hesitate to know any more information, Please send me a PM. # Can you rank Facebook Fanpage or Youtube channel/videos in Google? # Why Backlinks are not indexed/appear in backlinks checkers? Please note: the SEO is a little long-term process, So it may take few Weeks/months to get your website ranked in Google as there is many SEO factors Which are very important such as Domain/page authority, Keywords competition, Social signals (Facebook, Google shares for website), On-site optimization, Domain age, Current rank & many other factors. There is a premium indexer service as extra with all of our services, it gives a high indexer rate.